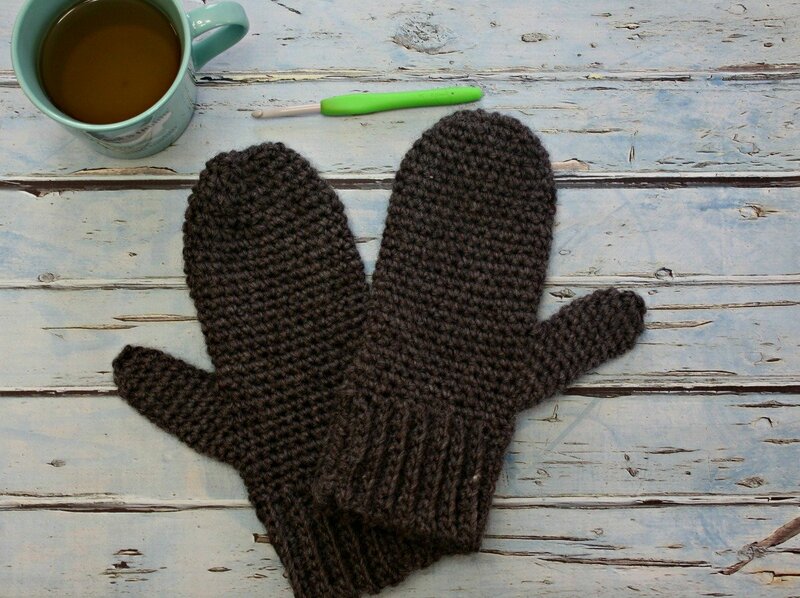 Basic Men's Mittens - Free Crochet Pattern - love. life. yarn. 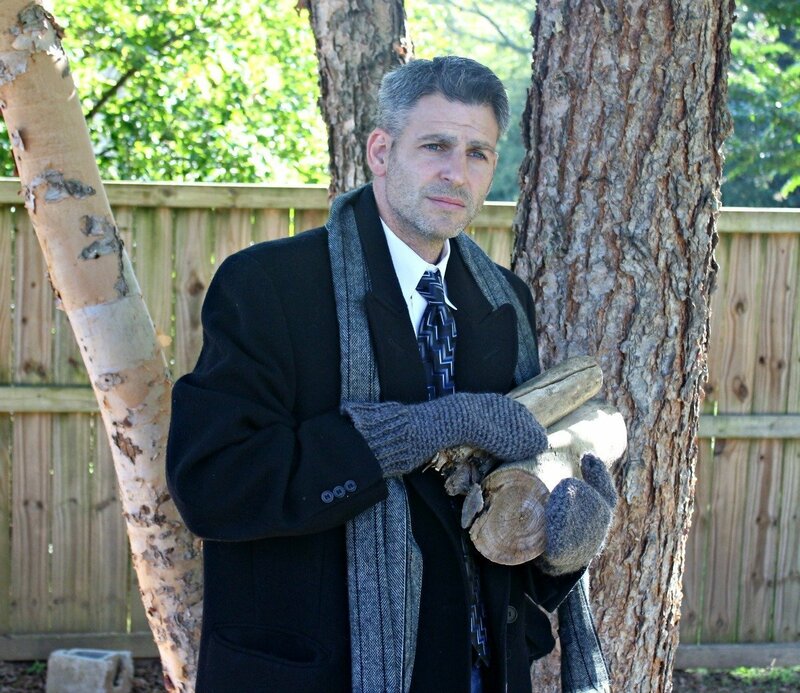 Hopefully once it gets cold enough these mittens will be put to good use. We don’t get a lot of really cold weather that often here in TN, but when we do we are sure to bundle up because we aren’t used to it. 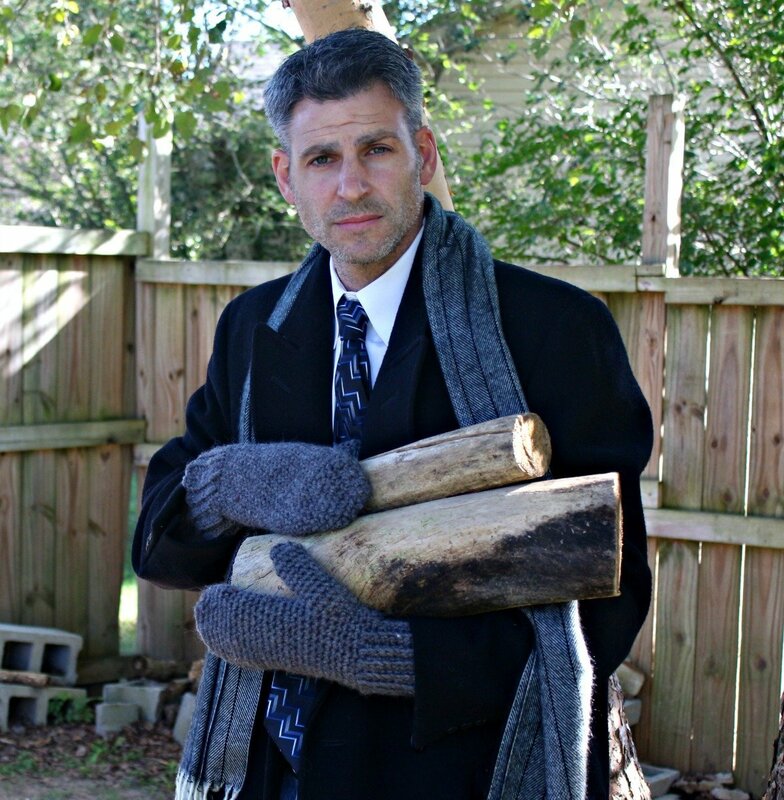 We had a few winters where it got down to negative wind chills and they called school off just for the cold! Row 1: Sc in 2nd ch from hook and each ch across; turn – 10 sts. Repeat row 2 until piece measures, when slightly stretched, 9″ from beginning, ending with a WS row. Next row: Work 27 sts evenly spaced along edge of cuff. Place a st marker in first st to mark beg of round. Round 1: Sc 15, 2 sc in next st, sc, 2 sc in next st, sc 9 – 29 sts. Round 2: Sc 15, 2 sc in next st, sc 3, 2 sc in next st, sc 9 – 31 sts. Round 3: Sc 15, 2 sc in next st, sc 5, 2 sc in next st, sc 9 – 33 sts. Round 4: Sc 15, 2 sc in next st, sc 7, 2 sc in next st, sc 9 – 35 sts. Round 5: Sc 15, 2 sc in next st, sc 9, 2 sc in next st, sc 9 – 37 sts. Round 1: Sc in first 16 sts, ch 1, skip next 11 sts, sc in last 10 sts – 27 sts. Rounds 2-13: Sc evenly around. Round 1: Sc 5, sc2tog, sc, sc2tog sc 9, sc2tog, sc, sc2tog, sc 3 – 23 sts. Round 2: Sc evenly around. Round 3: Sc 4, sc2tog, sc, sc2tog, sc 7, sc2tog, sc, sc2tog, sc 2 – 19 sts. Round 4: Sc evenly around. Round 5: Sc 4, sc2tog, sc, sc2tog, sc 5, sc2tog, sc, sc2tog – 15 sts. Round 6: Sc evenly around. Round 7: Sc 2, sc2tog, sc, sc2tog, sc 3, sc2tog, sc, sc2tog – 11 sts. Fasten off. Sew top seam. Round 1: Ch 1, sc in ch-1 space and each st around – 12 sts. Place marker in first st to mark beg of round. Round 9: (Sc2tog) six times – 6 sts. Fasten off. Draw yarn through remaining 6 sts and pull tight to close. Round 1: Sc 9, 2 sc in next st, sc, 2 sc in next st, sc 15 – 29 sts. Round 2: Sc 9, 2 sc in next st, sc 3, 2 sc in next st, sc 15 – 31 sts. Round 3: Sc 9, 2 sc in next st, sc 5, 2 sc in next st, sc 15 – 33 sts. Round 4: Sc 9, 2 sc in next st, sc 7, 2 sc in next st, sc 15 – 35 sts. Round 5: Sc 9, 2 sc in next st, sc 9, 2 sc in next st, sc 15 – 37 sts. Round 1: Sc in first 10 sts, ch 1, skip next 11 sts, sc in last 16 sts – 27 sts. Work top shaping and thumb same as right mitten. I hope you have enjoyed this free crochet pattern! 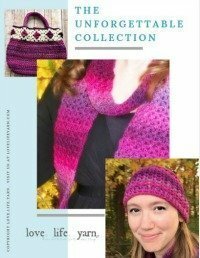 Head over here to check out the library of other free crochet patterns.